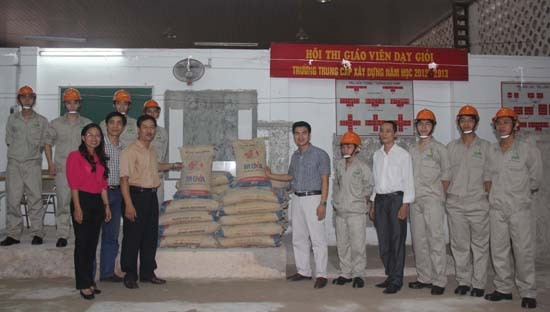 On May 7th 2013, A&P group presented 6 tons of Mova Redymix 7.5 (previous name is Remitar 7.5) building mortar to Viglacera vocational college at Yen Phong, Bac Ninh province. Along with products, A&P Group technical employees directly took part in teaching support, model execution and execution guidance which are compliant with technical process and suitable to product quality. 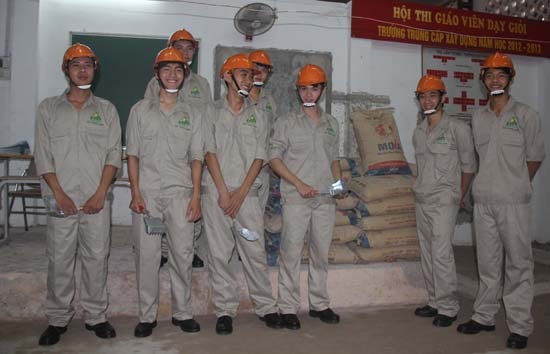 Besides, A&P group gave 10 industrial protective clothing and detail guidance documents about Mova products to students. Mova Redymix 7.5 building mortar belongs to Mova dry mortar products manufactured on modern chain using nano technology and materials from Germany. The mortar components consist of Polyme mixed cement binder, selective dried sand which removes mud, clay, poisonous extraneous matter and other multi-function addition. Mova Redymix 7.5 is durable, environment-friendly, manufactured according to formula researched and developed by Mova laboratory. 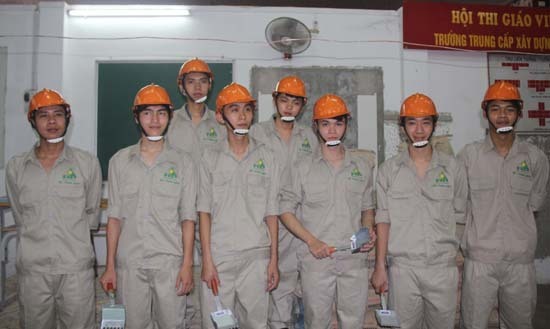 With Mova Redymix 7.5 product funding, A&P Group desires to help Viglacera vocational college students – future high-level builders – have access to high technology products and modern execution way, making them more confident when they graduate from school. 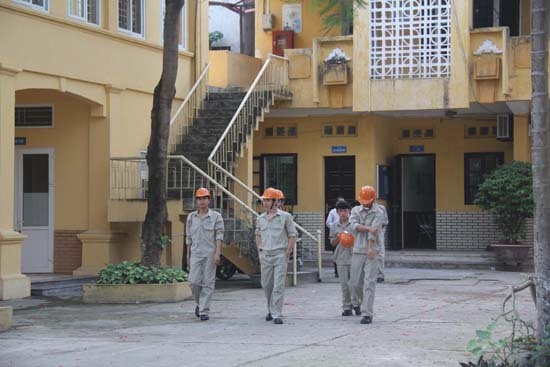 On behalf of Viglacera vocational college, Mr. Tran Ngoc Tinh - rector of the college expressed his gratefulness to A&P Group’s support and promised to use products effectively. 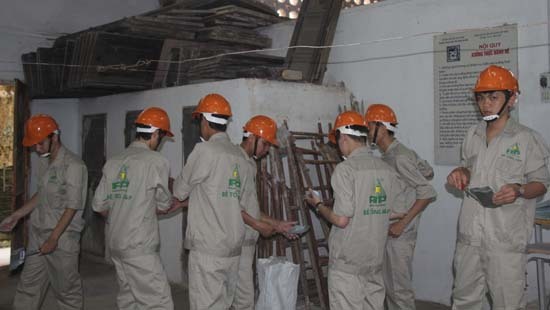 The college equipped modern devices suitable to the usage of Mova modern mortar which A&P Group gave.